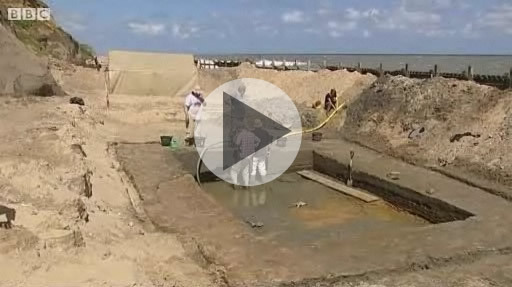 Archaeological excavations on Happisburgh Beach have revealed that ancient humans lived in Britain more than 800,000 years ago, making them the earliest northern Europeans. Life was tough for these early pioneers, living close to the cold northern pine forests. There were few edible plants and animals to hunt, harsh winters, and rhino and hyaena on the prowl too. 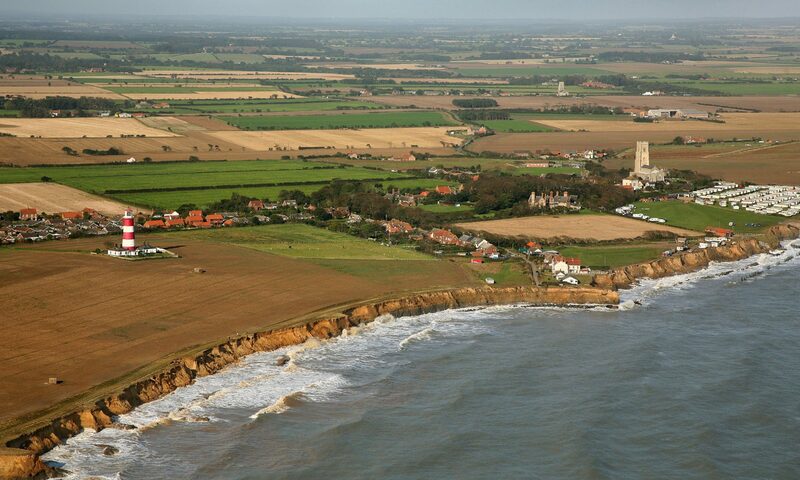 Evidence for this first known settlement in northern Europe was uncovered from the site at Happisburgh by a team of scientists and archaeologists from institutes including the Natural History Museum, the British Museum, University College London and Queen Mary, University of London. 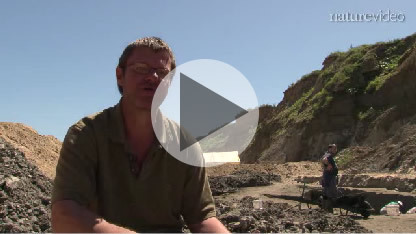 More than 70 flint tools and flakes were unearthed on the Happisburgh foreshore. They are human-made with carefully crafted sharp edges that may have been for skinning and butchering animals. ‘These finds are by far the earliest known evidence of humans in Britain, dating at least 100,000 years earlier than previous discoveries,’ says Professor Chris Stringer, human origins expert at the Natural History Museum and leader of the Ancient Human Occupation of Britain (AHOB) project who carried out the research. 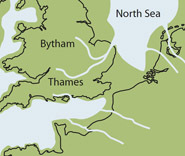 The British Museum funded the excavation at Happisburgh, and evidence at the site indicates that it lies on an ancient route of the River Thames. It flowed into the sea about 150km north of its present estuary. Fossil plants, pollen and beetles uncovered at the site show that the river was large and slow-flowing with freshwater pools and marshes, and salt marsh and coast nearby. Other remains from larger animal were also uncovered. ‘The flood plain would have been dominated by grass, supporting a diverse range of herbivores, such as mammoth, rhino and horse. Predators would have included hyaenas, sabre-toothed cats and of course humans,’ says Simon Parfitt of University College London. Fossil remains of beetles and other animals such as voles, and pollen and pine-cones, showed that these early humans were living at the edges of northern conifer-dominated boreal forests. There were few edible plants and animals, and severe winters with short daylight hours. Read more about the discovery on the British Museum, the Natural History Museum, and Nature websites.